Slagelse Haver is a care center housing 144 residents. Every 12 residents are connected to a kitchen located close to the apartments. In these kitchens food is made by the residents under observation from care keepers, however once in awhile a resident starts to cook without any supervision. It was therefore the wish of the building owner and attached consultants that the cooking areas were to be protected from fires. As there was no sprinkler system installed in the care home, this would require the installation of a new system. VID Fire-Kill was however able to help solve the problem, as a special stand-alone system Model DFI-1 could be supplied. 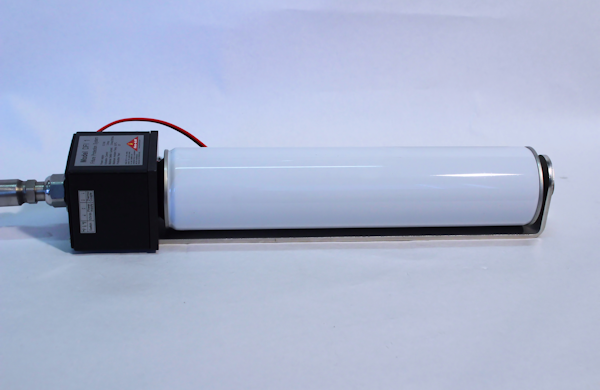 Model DFI-1 are small, reliable, self-contained, automatic fire protection systems which are designed to automatically detect any fires with in the cooking area and automatically release the special firefighting wet chemical medium, which will extinguish any oil and grease fires up to 25l. – The system will work 24/7. 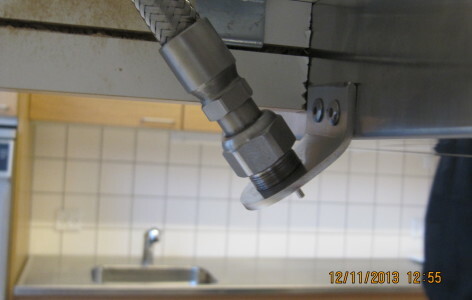 The nozzle was attached to the extractor hood, having the nozzle and integrated heat-detector pointing towards the cooking area. The rest of the Model DFI-1 was installed hidden in the upper cupboard making the installation invisible. 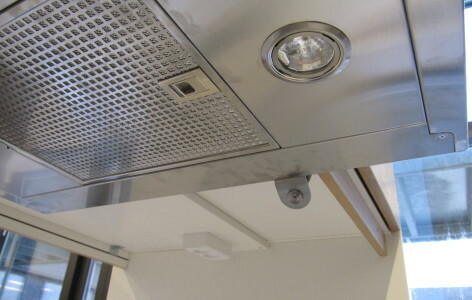 The DFI-1 alarm outputs where connected to fire alarm panel and to a relay ensuring that power supply to the ovens would be shut off in case of fire.